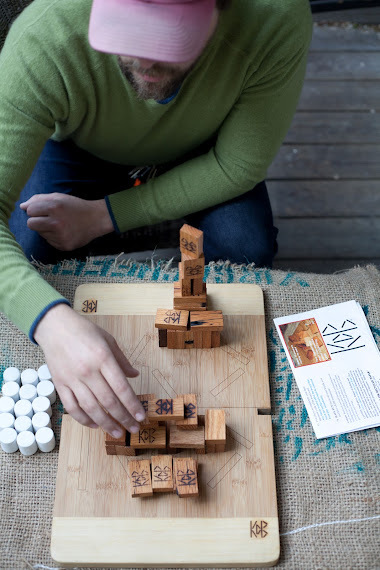 Build, destroy and repeat, with blocks made of reclaimed barn wood. Started in the south. Made in Chicago. Enjoyed all over the world. 262 backers pledged $14,401 to help bring this project to life. Knock Down Barns© was created June 2008 in the Emerald Den nearby the Chattooga River. 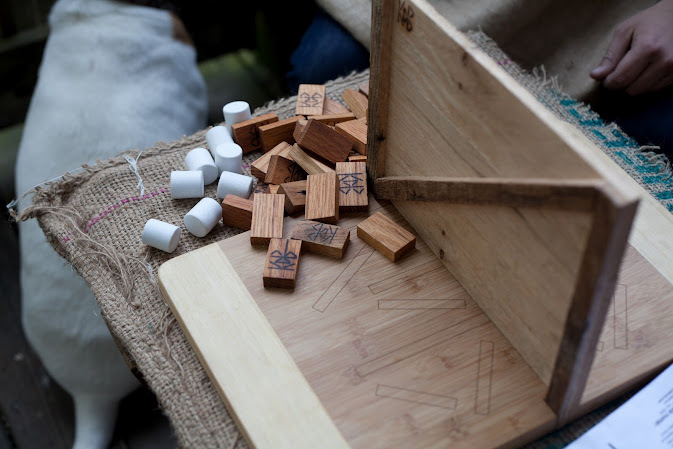 First played with Dominoes and various household weapons, the game was initially called Knock Down Bones. I have spent three years perfecting the rules and sourcing the materials in order to teach the world how to play. I hope Kickstarter is just the help I need to get KdB off the ground! I currently make the games by hand out of reclaimed barn wood and package them in re-purposed burlap coffee bean sacks. 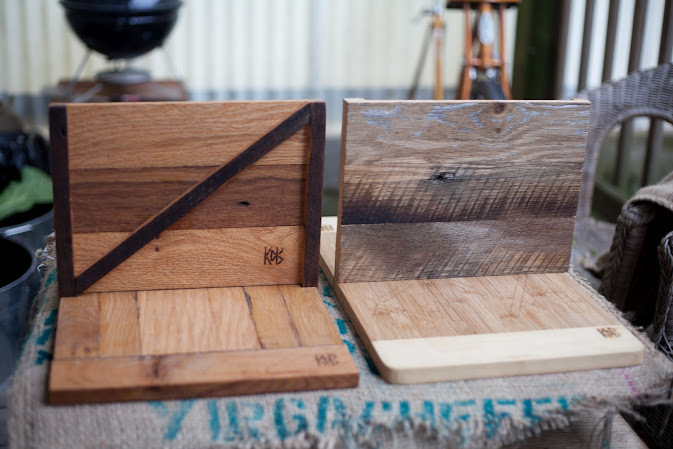 My reason for trying to Kickstart the business is to cut down the cost of owning a game by replacing the more expensive barn wood game board with a sustainable bamboo alternative. 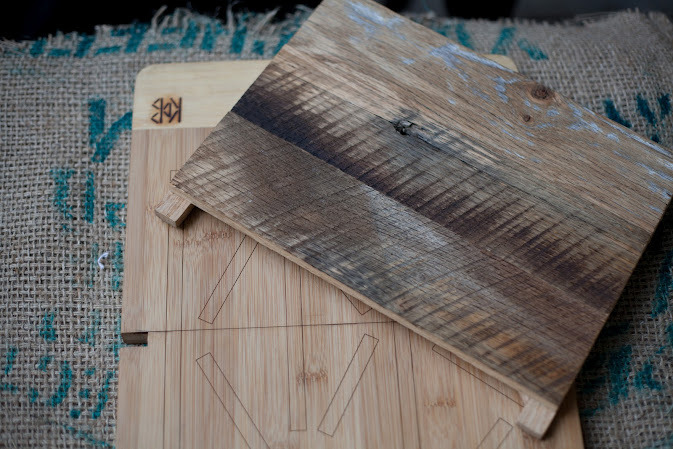 60% of the collected donations will go towards ordering a batch of bamboo boards. 20% will be for getting more burlap coffee bags tailored to transport and store the sets of Knock Down Barns. 10% will be allocated to printing a run of the newly revised and streamlined rules. 10% will be given to part time labor that helps produce the rewards. Take pictures of where you adhere the stickers and tag us on facebook or twitter @knockdownbarns. The hashtag to use for this contest is #ycaba for "You can always build again". Must enter before midnight on Thanksgiving, Thursday 11/22/2012. Delivery of prizes 12/1/12. If 50 backers chose key chains, everyone gets two instead of one. If the funding reaches $20,000, I will include two pairs of 'Shutter Shades' in every game reward backer level. For Safety and Fashion's sake. Things do go flying around! The rest of the stretch rewards will get you extra weapons and blocks. You might need them for tournaments in the future! Show your support for Knock Down Barns all over town! Key chain doubles as an emergency replacement block for the game. Please add $15 for shipping outside of continental United States. First 100 pledges at this level receive a bonus KdB button! Dividers will be numbered and personalized with up to three characters. Please add $20 for shipping outside of continental United States. 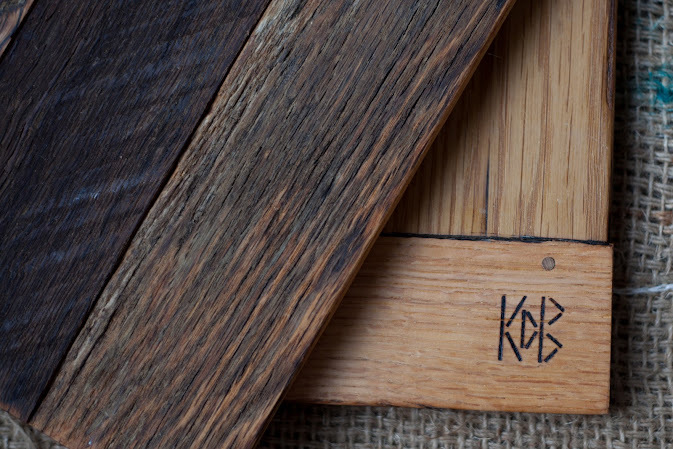 (KdB) Full set of Knock Down Barns, the original game handmade from reclaimed barn wood+KC+SP___ Please add $15 for shipping outside of continental United States. Games are numbered and personalized with up to 20 characters. Please add $20 for shipping outside of continental United States. Games are numbered and personalized with up to 20 characters. Trip will be booked within 365 days of donation. Rewards will be mailed out by June 2012 so participants can practice before the event.